Update: Post has been updated with more slides. 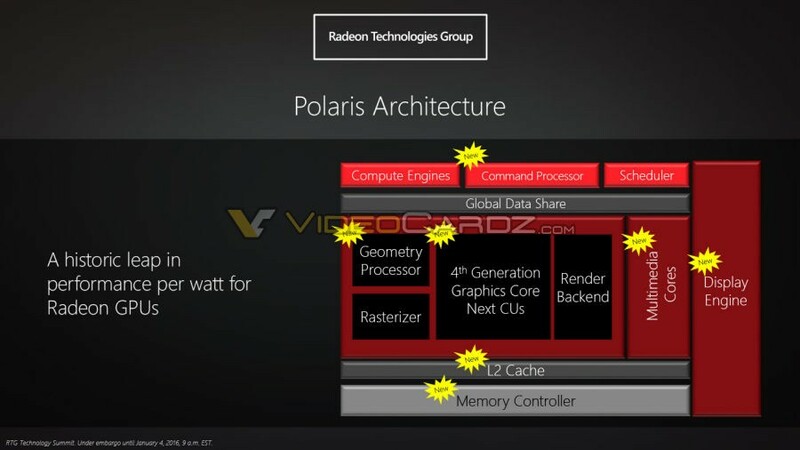 Tomorrow AMD will unveil its new architecture called Polaris. 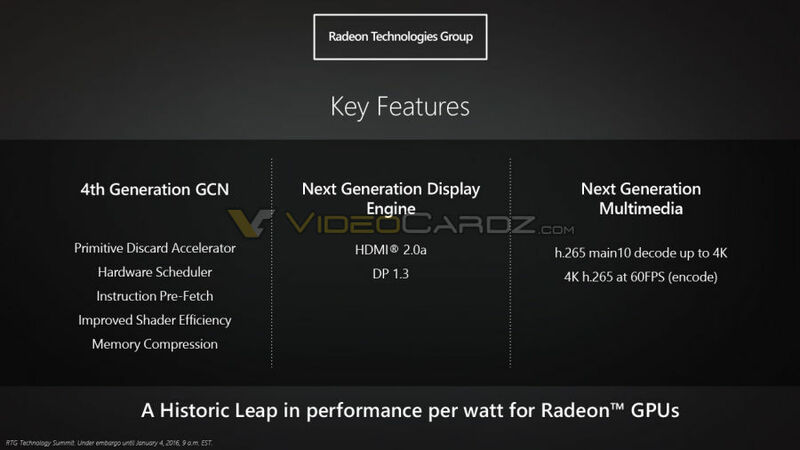 This is a major upgrade in Radeon architecture since first 28nm GPU. 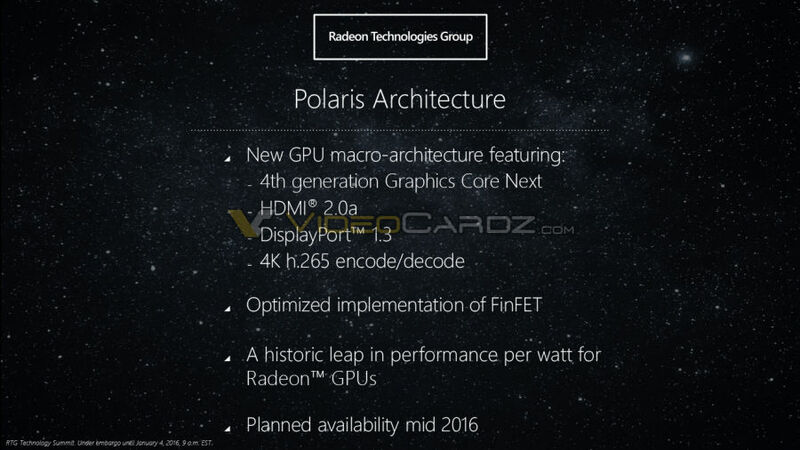 Polaris is new codename for 14/16nm FinFET architecture that will be introduced with new graphics cards later this year. 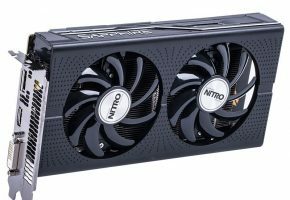 From what I’ve heard, AMD is planning to launch first Radeon 400 cards in the summer. 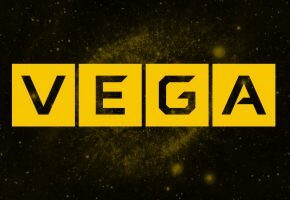 Even though the launch is still months ahead, the company decided to share more details about their future portfolio to tease gamers (and probably investors). 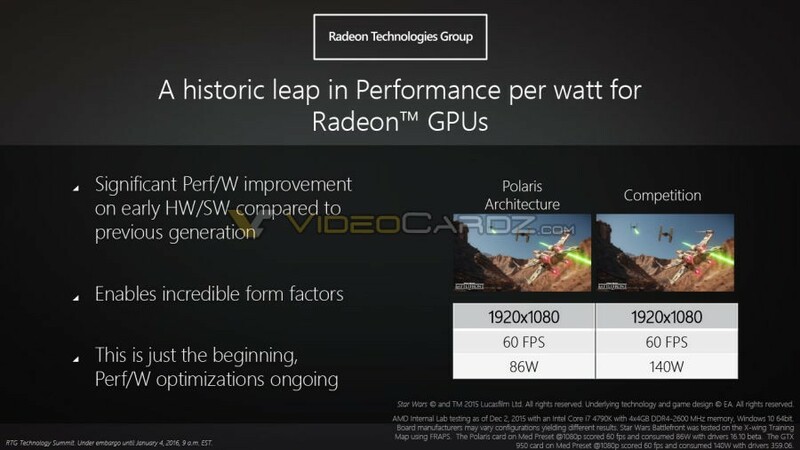 To give you a perspective, this is how Polaris fits after 28nm architecture. 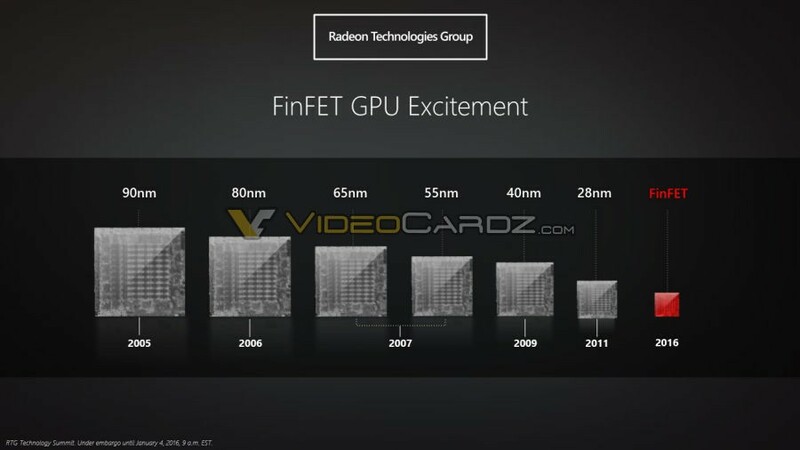 The group has confirmed that they will be utilizing both traditional partner TSMC’s 16nm process and AMD fab spin-off (and Samsung licensee) GlobalFoundries’ 14nm process, making this the first time that AMD’s graphics group has used more than a single fab. 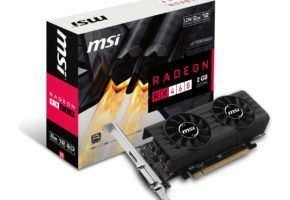 To be clear here there’s no expectation that RTG will be dual-sourcing – having both fabs produce the same GPU – but rather the implication is that designs will be split between the two fabs. In the last 10 years fabrication process shrunk significantly (in 2005 it was 90nm). 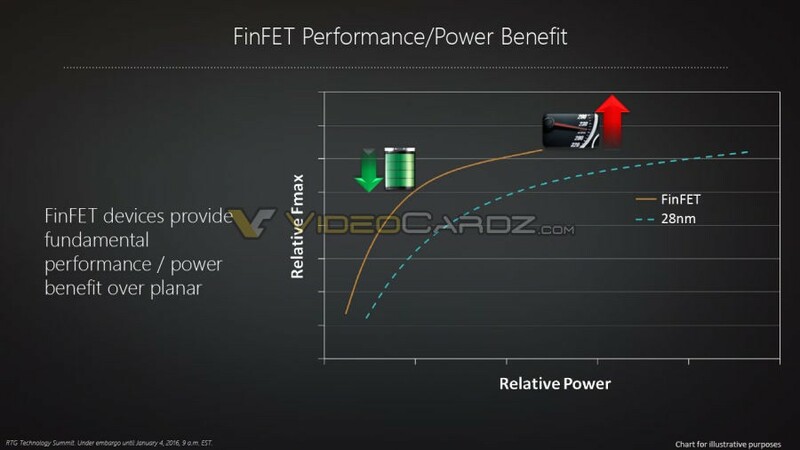 Obviously smaller node means higher power efficiency and therefore higher performance at lower power consumption. Unfortunately the slides are not very accurate, in fact they don’t even have any numbers, so I can’t share more details as of yet. 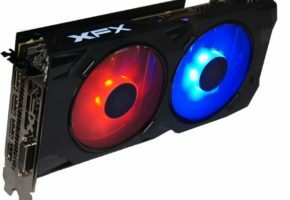 The GPU design was modified to include new logical blocks. What’s new is Command Processor, Geometry Processor, Multimedia Cores, Display Engine and upgraded L2 Cache and Memory Controller. 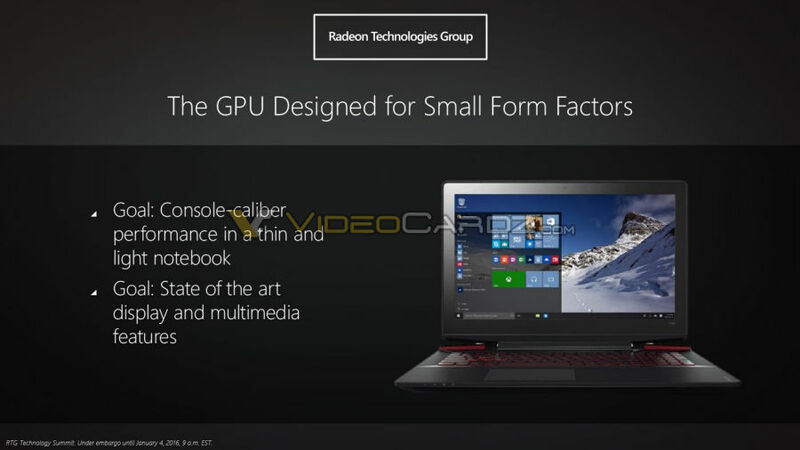 Last but not least, the new architecture has 4th Generation Graphics Core Next Compute Units (aka. GCN 4.0). AMD Polaris will compete against NVIDIA’s Pascal architecture. 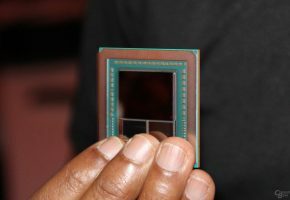 Both are believed to utilize High-Bandwidth-Memory 2 (HBM2).